Is Your Business Benefiting From Increased Local Searches? Home » Local Search » Is Your Business Benefiting From the Increase in Local Searches? As a local business, you might have seen an increase in traffic from mobile searches last year. Google released information that the number of searches with the phrase “nearby” or “near me” doubled last year. This is especially true when it comes to mobile search. In fact, when you type in a mobile search for a business now, you are likely to see one of these phrases pop up as a suggested add-on. Confirming the report, Google’s Chief Business Officer, Omid Kordestani, discussed the data in a recent interview. In response to the increase in people conducting a local search, Google is releasing a new advertising product. The Nearby Business Listings product eliminates some of the standard copy that you typically see in advertisements and replaces it with user-friendly features such as click-to-call and click-for-directions. As a local business, these ads will provide the user with the information they need to connect with you offline. In the world where conversions matter, this local search advertising solution can help you to generate more foot traffic. You can also capitalize on the upwards trend in mobile search by optimizing your website for it. For example, with more people looking for a business “nearby”, you need to ensure that your location is clearly listed in multiple places on your website and that the same address is featured in all of your business listings. 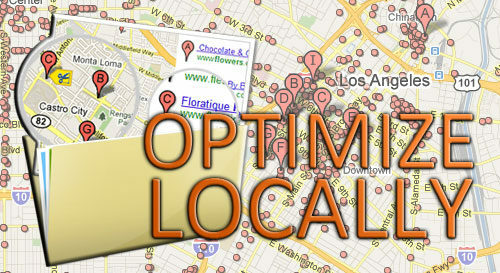 For a search engine to display your business in the results for a local search, they need to know where you are located. Conducting a website audit and auditing your business listings will ensure that you are not displaying any conflicting information. Having an address listed one way in your business listing and another way on your website, for example, can confuse a search engine and prevent it from displaying your information in the search results. We are also a big promoter of responsive design websites. Given the rise in mobile search, it is critical that your website is easy to read and navigate once someone finds you. If you have a traditional desktop site, it is highly likely that it is hard to view on a smartphone. If it is, there is a good chance that the user will abandon your website. Even if you are a local business and a good fit for a business “near me”, if your website is not user friendly and you do not have convenient features like “click-for-directions”, you may lose out on the opportunity to capture business from a mobile search. We can conduct a site audit and let you know how to improve your web design and your SEO to ensure that you are optimized to capture business from the increase in “near me” and “nearby” searches.